Need to trim rough cut lumber? We have the thing for you! Edging boards with a board edger is a highly efficient way to solve your problem. Adding an edger to your operation adds efficiency and production because edgers increase the board ft. yield to increase your profits. By edging on a Board Edger instead of your sawmill you will increase production by a minimum of 35%. The AC36 Sawmill and AE Board Edger are a perfect match as the sawmill is made to drag boards directly back to a gravity roller and the edger can be placed in line to that roller for a quick transition into edging. 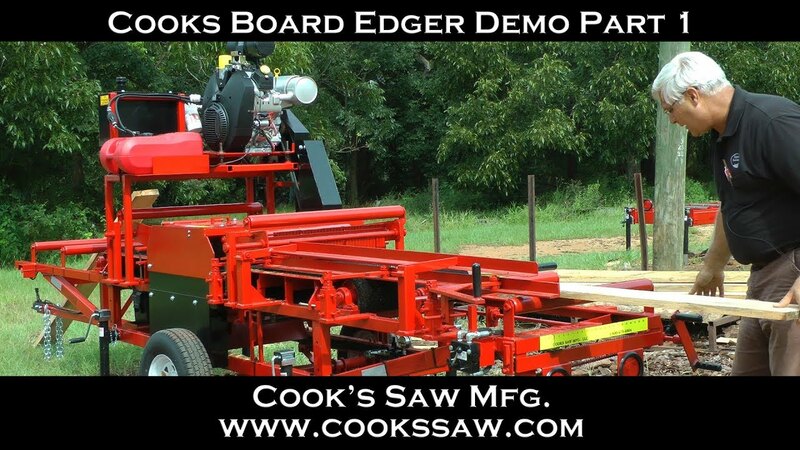 If you are serious about making money with your sawmill then it only makes good business sense to have an edger. Call or email for your FREE demo DVD 1-800-473-4804 or order online. Box of 10 blades for the EZ JR.